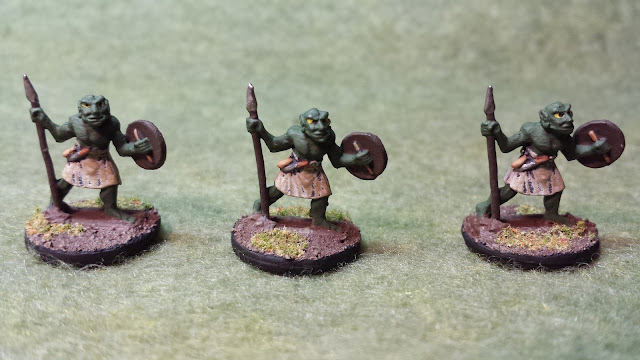 After painting my first four 15mm Goblins, I decided to take a break. I had 12 more to go, and I was not looking forward to the process. 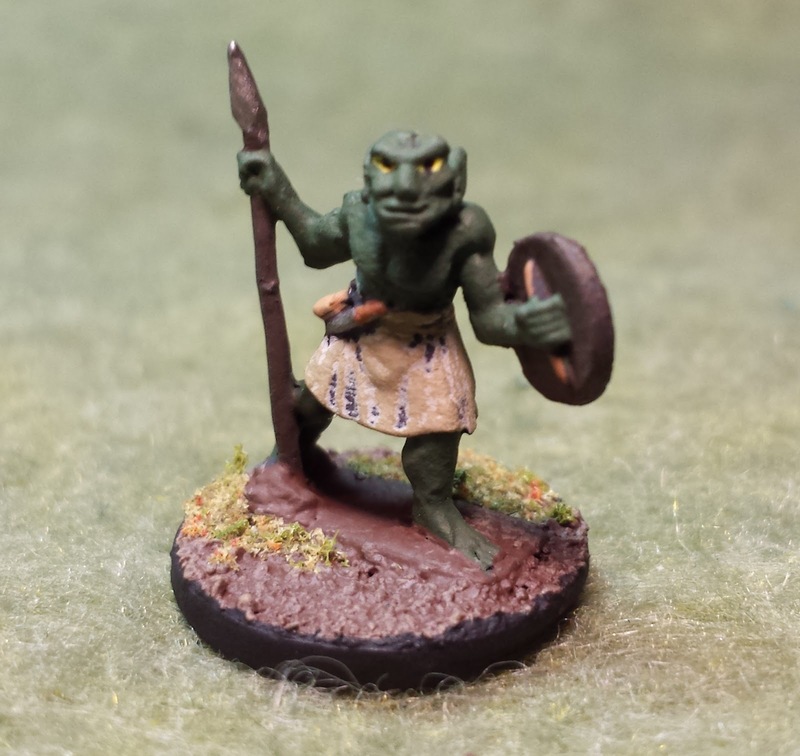 I wanted to paint more player characters, not dull green, brown and grey goblins! Well I finally sucked it up and finished the next 12 over a few sittings. And I actually came to enjoy the process. 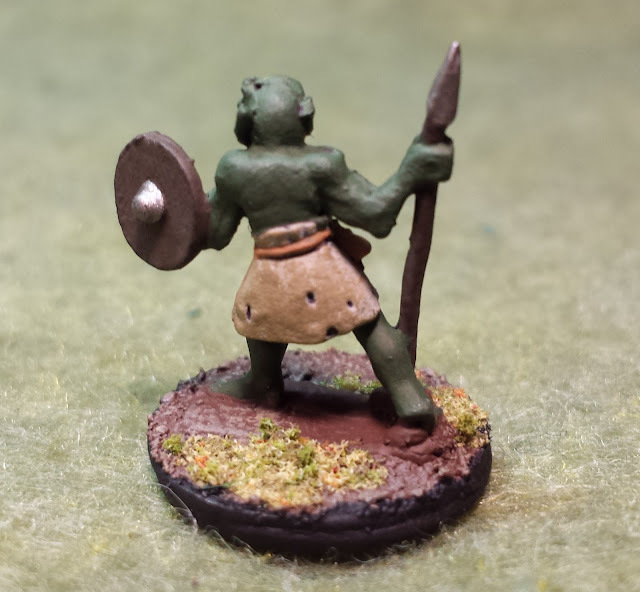 These guys like, the previous four, come from 15mm Co. and are part of their 15mm goblins. These packs come with 16 guys, in 4 different poses and cost around $10 CAD. It is a great deal and a fantastic way to build up a small force for cheap. Now, these guys area little on the large side, standing at about the same height as a human. 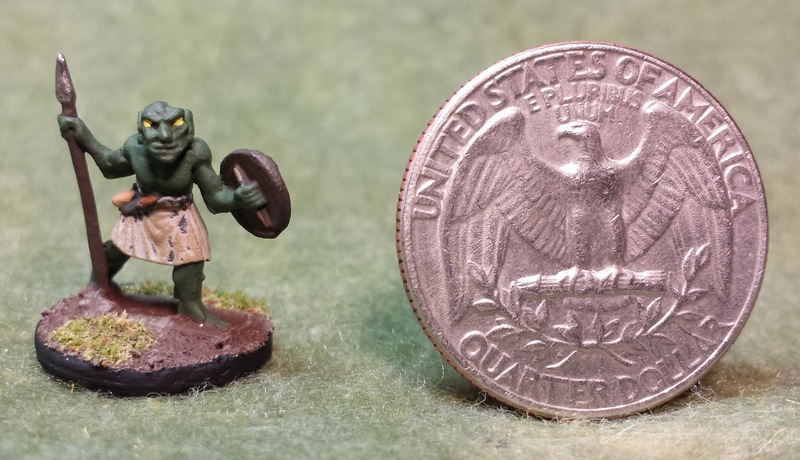 SO if you are the kind of person who really wants their goblins to be small, then these guys aren't the minis you want. But that being said, it doesn't bother me and am quite impressed with the detail. These three definitely make for perfect lighter armoured goblins. Wearing only a tattered and filthy kilt, their low stature in goblin society is made quite clear. See how I slay of couple of these guys in Hymns of a Vagabond game 1. Coming Soon.